MB Longhorns. Elite, Gentle Registered Texas Longhorns with Proven Genetics. It has been fun so far, slowly becoming more established. Doing lots of research. We are keeping it small, with a slow steady growth to explore all avenues and bloodlines to max out the ability of the few select cows and heifers we own. 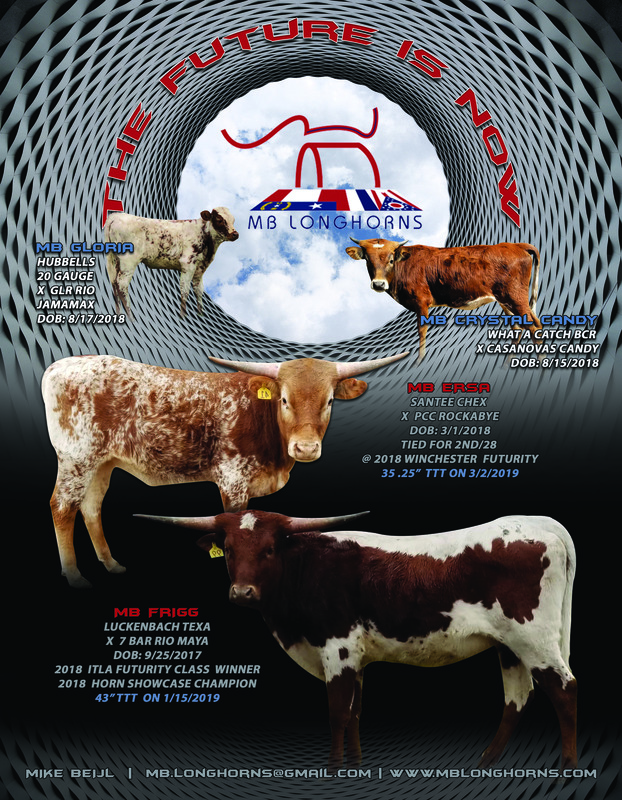 We are looking forward to talking with you about longhorns at different sales and events. Please enjoy our website and let me know about any questions, ideas or suggestions you might want to share.